Which Traditional Chinese Medicine Treatments Do We Offer? Herbal Medicine is the original medicine, with this concept being used for hundreds of years to treat a range of physical and emotional ailments. Today Herbal Medicine is classified as an alternative or complimentary medicine, however many would debate that Herbal Medicine has always existed and is where all modern medicine has emerged from. 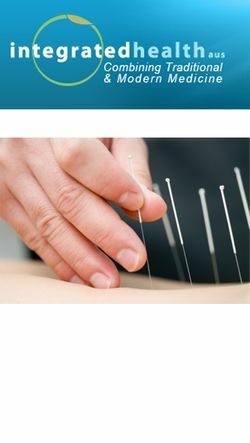 Acupuncture is a natural healing art that stimulates the flow of Qi or Energy throughout the body. This treatment is used to stabilise and rejuvenate the body mind and spirit, while at the same time restoring an individuals health. Effective enough to be used on a range of common and chronic health issues, why not give us a call today to organise your next appointment? Click here to find out more. Cupping involves the strategic positioning of cups on various parts of the body and the meridians (acupuncture channels). Traditional cupping involves the use of a flame to create a vacuum that lifts the skin upwards into the cup. Modern cupping however involves the suction of the skin using a pumping device. This treatment is suitable to treat a range of health conditions, with individuals of all ages benefiting from this therapy. Click here to find out more. Biomesotherapy can complement chiropractic, physical and sports injury therapy’s or may be used on its own depending on the type of condition. It may be used to treat various sports injuries, muscular pain, arthritis, chronic pain, lower back pain, neck pain and other types of acute or chronic injuries. It is especially effective in acute injury’s and has been shown to decrease the duration of some sports injury’s helping athletes resume their normal activity faster. Integrated Health and Wellness - Naturopathic Medicine Sydney Combining traditional and modern medicine with the latest technology for your health needs.